(Sarasota, FL) The Baltimore Orioles will host the team’s Fall Instructional League at Ed Smith Stadium in Sarasota with games that are free and open to the public from September 20 through October 9. The Instructional League program focuses on specific individual development while providing additional playing time to accelerate a player’s progress through the minor league system. Games are played on the Main Field, with parking available in the East Lot at no charge. Spectators may enter the ballpark through the Left Field Gate. The full Instructional League season schedule is listed below, and is also available online at www.orioles.com/sarasota. Dates and times are subject to change. New this year, the Orioles will host small groups of players for camps that emphasize hitting and strength and conditioning. These additional camps will allow players to focus on improving certain areas of their game with access to Orioles coaches and athletic trainers at the team’s facility. (Sarasota, FL) The Baltimore Orioles will host the team’s Fall Instructional League at Ed Smith Stadium in Sarasota with games that are free and open to the public from September 19 through October 11. Games are played on the Main Field, with parking available in the East Lot at no charge. Spectators may enter the ballpark through the Left Field Gate. The full Instructional League season schedule is available online at www.orioles.com/sarasota, and the 2016 home schedule is below. The roster of players participating in this year’s Instructional League is attached. (Sarasota, FL) The Baltimore Orioles will host the team’s Fall Instructional League at Ed Smith Stadium in Sarasota with games that are free and open to the public from September 22 through October 13. Games are played on the Main Field, with parking available in the East Lot at no charge. Spectators may enter the ballpark through the East Gate. The full Instructional League season schedule is available online at www.orioles.com/sarasota, and the 2015 home schedule is below. The roster of players participating in this year’s Instructional League is attached. 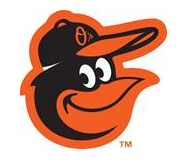 (Sarasota, FL) The Baltimore Orioles will host the team’s Fall Instructional League at Ed Smith Stadium in Sarasota with games that are free and open to the public from September 15 through October 7. Games are played on the Main Field, with parking available in the East Lot at no charge. Spectators may enter the ballpark through the East Gate. The full Instructional League season schedule is available online at www.orioles.com/sarasota, and the 2014 home schedule is below. The roster of players participating in this year’s Instructional League can be viewed by clicking 2014 Instructional League Roster roster.